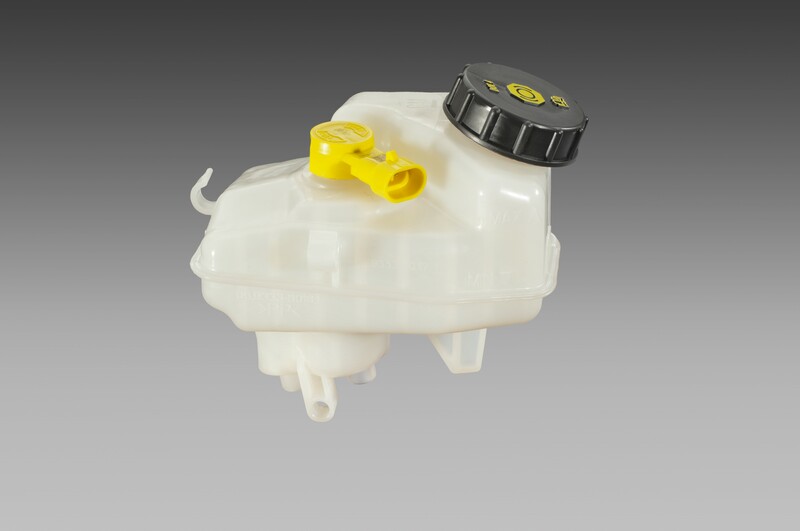 One of our core competencies in the Czech Republic and China is the production of fluid reservoirs , such as brake fluid, gearbox oil, etc. In the process of production, the top and bottom parts are welded. This approach enables free arrangement of inner walls and openings inside of the reservoir. 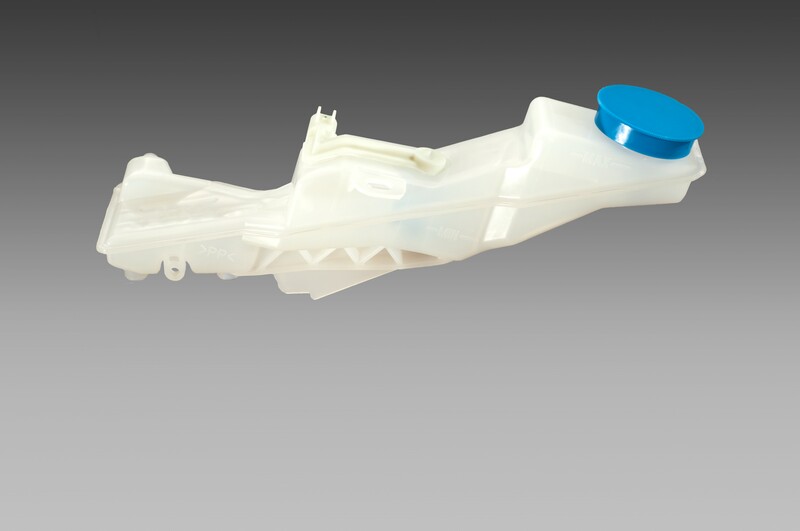 Firstly, individual parts are made using the injection moulding process, and then they are welded utilising mirror welding, friction welding, or hot gas welding. 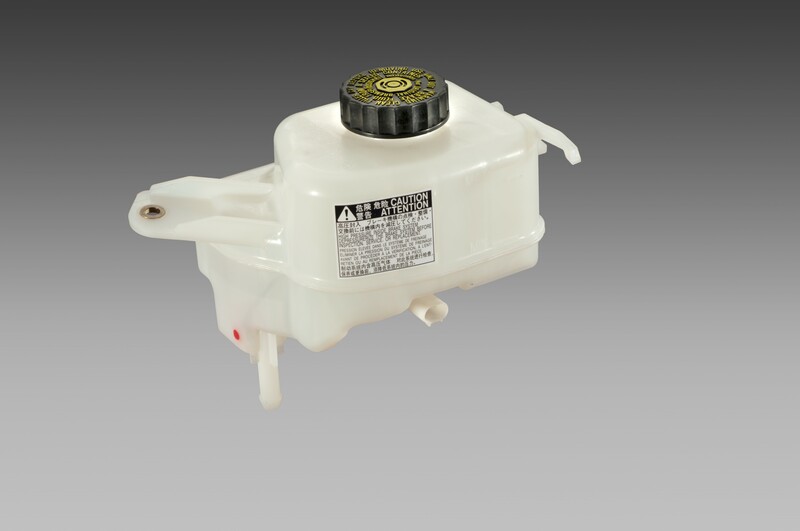 Since such parts are almost always safety components, each reservoir is consequently checked for leaks. Upon customer request we also obviously deliver necessary fittings and warning device units that permanently monitor the fluid level as complete structural units, including the necessary REED cartridges, if necessary. The inscriptions on the reservoirs are mostly made by laser. Reservoir volumes range from 0.3 l to 2.5 l.
Maximum flexibility is a must during the production of reservoirs, starting from the annual volume of 500 pieces up to several million pieces for small, medium and large-scale projects. Prototype components according to customer requirements are a matter of course.